Support Youth, Help Stop Crime, Strengthen our Communities. On September 2, 2008 Matt was shot and killed by an assailant who purchased his gun at a garage sale. 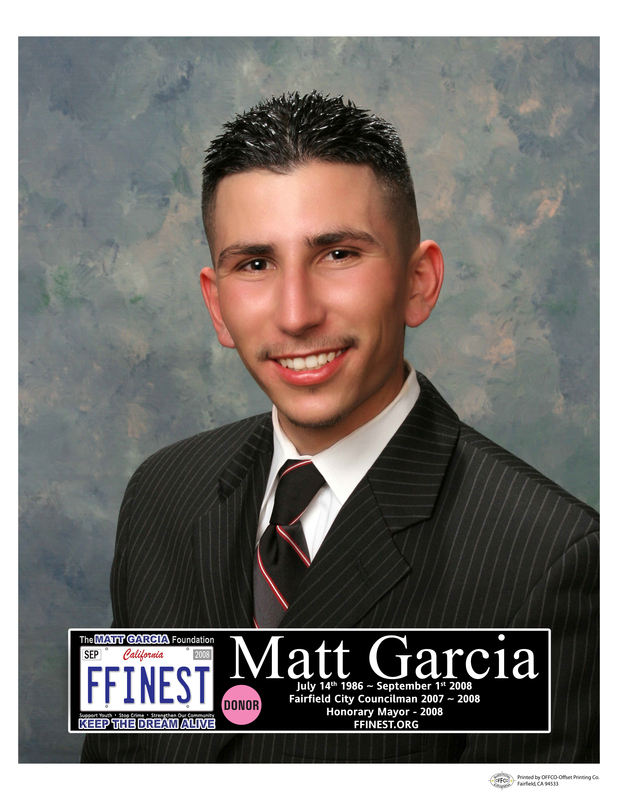 Enter… The Matt Garcia Foundation who is a part sponsor for the Solano County Gun Buyback program. “Thank You to Kaiser Permanente and Valero Texas Open for Continued Support of The Matt Garcia Foundation."